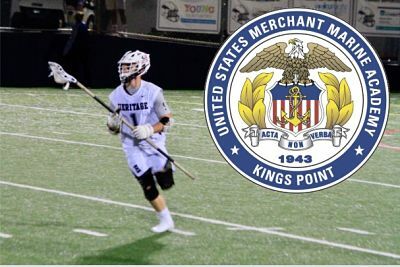 American Heritage-Boca 2019 Eric Diano Commits to the US Merchant Marine Academy! Congratulations to Eric on his college choice and good luck in the future! The ability to serve my country, while also receiving a top tier education, and being able to play lacrosse at one of our country’s prestigious military academies is why I choose the USMMA. My first memories are playing for Tony Lowe’s Snipers and meeting coach Barry for the first time. The recruitment process is not a sprint it’s a long marathon and I would advise on staying patient throughout the process. I would like to thank Coach Kevin Barry, my friends, and my family on helping me throughout this journey.